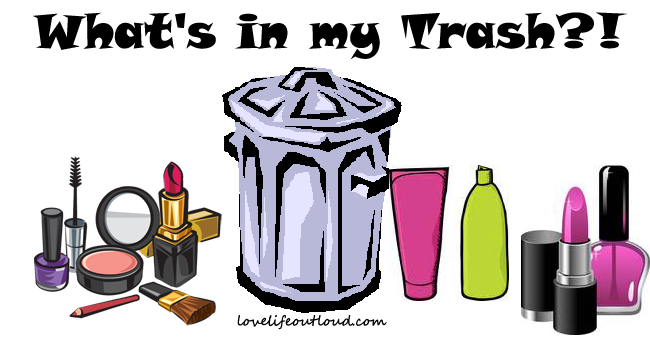 I feel like I say a lot of posts are my favorite to write but it really is true that my empties are my favorites! There is nothing more satisfying than hoarding a whole bunch of trash and then going through one day taking all the pictures and tossing it out. This is also a great record for me of every single product that has ever passed through my life so it's handy to glance back through these and see what I did and didn't like. Anyways, on with the show! Clear Care Lens Solution (Sample). These small bottles come with every big bottle I purchase. I don't travel enough to save these for travel so I use them too since there are expiration dates. Yes I will keep buying this. Mizon Ultra Suboon Cream (Full Size). There was nothing special about this cream nor was it very moisturizing so this isn't something I will buy again. Etude House Drawing Eye Brow (Full Size). One of my favorite brow liners, when I want a darker more defined brow. It's also handy for on the go since it has a very effective spoolee on one end. I hoard these things since it's not so easy to buy them in the States but I will keep purchasing them. Acure Day Cream (Sample). I hate this so much. It did not absorb easily and the orange scent was crazy overwhelming. It also made my face very greasy so in the end I actually just used it on my legs just so I could finish it. Not something I would buy. Vicioni Super Aqua Soothing Serum (Full Size). I can't remember too much about this serum so it really didn't leave an impression. That just means it wasn't amazing nor was it particularly bad. So probably something I wouldn't purchase again. Holika Holika Juicy Pomegranate Mask Sheet (Full Size). This mask was so saturated with essence I was a fan of that. This is one line of sheet masks I would buy again if I could get my hands on them. Burt's Bees Facial Cleansing Towelettes (Full Size). These weren't very effective cleansing towelettes, they were dry and it took a lot of rubbing to get my makeup off. Not something I would buy again. St. Ives Oatmeal & Shea Butter Body Wash (Full Size). My favorite body wash ever! I have quite a collection and will keep buying it. Freeman's Feeling Beautiful Charcoal & Black Sugar Polishing Mask (Full Size). As a mask I hated it. It was much too watery but as a face scrub it was okay. Either way I fell for the hype of it and was not a fan so I won't buy this again. Nelson J Moisture Healing Argan Oil Hair Mask (Sample). This did nothing for my hair. I think my hair just isn't a fan of Argan Oil so this isn't something I would purchase again. Colgate MaxClean SmartFoam Toothpaste (Full Size). Is it strange to love a toothpaste because I love this stuff. I was sad when I went to the store and couldn't find it so I feel like just Target doesn't carry it. As soon as I find it I'm buying like 10 just to make sure I'm never without it again. Dove Oxygen Moisture Shampoo (Sample). This was an okay shampoo, not something I would buy though. L'Oreal Damage Erasing Balm (Full Size). My favorite drugstore hair mask, yes I keep this stuff stocked also. My Beauty Diary Tea Tree Purifying Mask (Full Size). This stuff was okay, I wouldn't buy it again though. Annabelle Brow Liner (Full Size). I'm actually a huge fan of this brow liner for a natural brow but sadly it is only available in Canada. Next time someone is in Canada they are picking me up a box full! Eco-Beauty Good Day. Day Moisturizer (Sample). This had a weird cucumber smell to it and I wasn't a fan. It made my face greasy and that tiny packet lasted forever. I ended up having to use it at night but it's not something I would purchase. Milani Brow Shaping Gel (Full Size). Huge fan of this shaping gel so yes I will keep buying this. Benefit's They're Real! Mascara (Full Size). My #1 mascara, it's expensive and I die a little bit everytime I have to buy a new tube, but it's so worth it. Tarte's Lights, Cameras, Lashes Mascara (Sample). Not a fan of this, I don't get the hype. It's a little thick and chunky and my lashes did not look good with this. I would not by it. InstaNatural Retinol Serum (Full Size). I honestly didn't notice much going on with this. I did see my skintone even out a little bit but not dramatically different like I expected retinol to do. I wouldn't purchase this again. Garnier Clean+ Nourishing Cleansing Oil (Full Size). Best cleansing oil ever with a budget friendly price tag. I will keep purchasing this! Biore Deep Cleansing Pore Strips (Full Size). Not my favorite pore strip but the best for a drugstore budget so I'll keep buying this for now. Laneige Water Sleeping Mask (Sample). This was an amazing sleeping mask and after I work through my stash this will be the one that I go back to a purchase. Etude House Silk Scarf Hair Moistpack (Full Size). This stuff turned my hair into straw I swear. Not something I would purchase again. Secret Pit Balanced Spring Breeze (Full Size). Not crazy about the scent so I wouldn't purchase this particular one again. Macadamia Natural Oil Deep Repair Masque (Full Size). Another one of my favorite hair masks and now that I find that the Rack sells it for a discount I will keep purchasing it! Freeman's Feeling Beautiful Facial Moisturizing Kiwi & Yogurt Cleanser (Full Size). This stuff smelled so good and was nice and cooling. I have a ton of cleansers right now so I probably won't buy it again but I'll keep it in mind.